Looking for equipment, materials and such? Do you know where to find the resources you need for your energy work and practice? Find out here. Horse Lifestyle TV Now Available Worldwide! Amsterdam, NL, November 24, 2015 – HorseLifestyle.TV, the online streaming service with unlimited access to films, series, books and magazines about horses, goes live worldwide today. People around the globe will be able to subscribe to HorseLifestyle.TV for 12.95 USD/EUR per month, and instantly watch a broad selection of horse content on their laptop, PC, tablet or smartphone connected to the internet. “Our goal is to gather the best the horse world has to offer for people to get inspired, and learn from in an entertaining way”, says Vanessa Somers, co-founder and CEO of Horse Lifestyle®. “We want to introduce our audience to a wide range of insights, techniques and philosophies, to help people become the best they can be, for both them and their horse”. At the global launch, the online library of HorseLifestyle.TV includes series of renowned horse trainers from all over the world, such as Clinton Anderson, Alycia Burton, George Morris, Pat Parelli, Monty Roberts and, Anna Twinney. The online library also provides a ‘behind the scenes’ in how the best of the international equestrian sport, like Jeroen Dubbeldam, Charlotte Dujardin and Carl Hester prepare for their equestrian events. Among the films available are the true story and, neo-western ‘NokotaHeart’, the documentaries Tarpan: Repainting an Ancient Picture’ and ‘Horse of Kings, Thieve of Hearts’, and the Arthouse film ‘Animaglyphes’. In addition to series and films, the online library offers magazines as ‘Equestrian Quarterly’, ‘Everything Horse UK’ and ‘Horse and Style Magazine’ as well as various books, such as ‘Black Beauty’, ‘Winter’s Tales’ and ‘Xenophon’. “With a membership people enable us to continue expanding our database with great horse content from all over the world. Safeguarding a pool of knowledge for everyone to tap into, with only a tap of the finger,” says Somers. “It is easy to sign up and members can cancel anytime.” Besides Premium films and series, exclusively for members, Horse Lifestyle offers a selection of films, series, books and magazines for free. In the coming months, more films, series, books and magazines will be added. Horse Lifestyle® is a media company, focused on producing and distributing horse related content worldwide. The company developed HorseLifestyle.TV, a multimedia streaming service dedicated to the horse and the accompanying lifestyle. For more information please visit HorseLifestyle.TVor like the Facebook page. The information contained in this message and attachments, if any, is confidential and is intended solely for the use of the individual or entity to whom it is addressed. You should not copy, disclose or distribute this communication without the authority of Horse Lifestyle. Horse Lifestyle is neither liable for the proper and complete transmission of the information contained in this communication nor for any delay in its receipt. Horse Lifestyle does not guarantee that the integrity of this communication has been maintained nor that the communication is free of viruses, interceptions or interference. 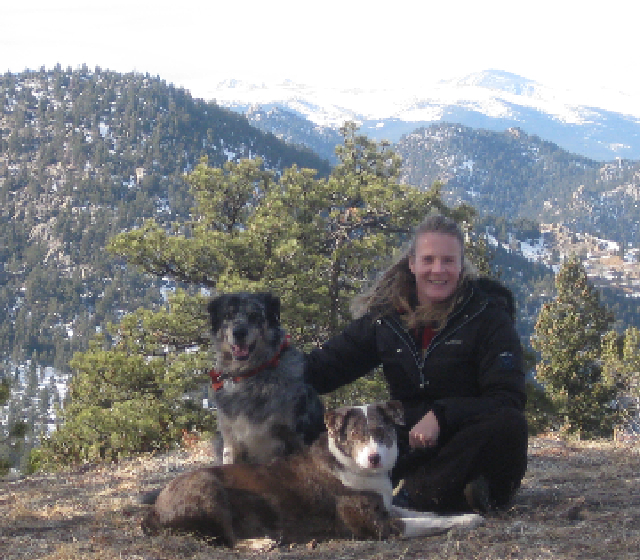 At a recent event in North Carolina designed to help military veterans integrate back into civilian life, British Police force veteran, former military spouse and now animal behaviorist, Anna Twinney realized a two decade old dream. “When I came to the United States in the 1990s, I was truly following my destiny. I believe the British Police Force is one of the best in the world. Communication skills are paramount as the British Police Forces don’t carry weapons. My dream was to help all police Forces learn natural horsemanship and thus improve victim relationships by elevating communication with victims so they don’t feel purely like another number ,” she explained. Twinney served on the British Police force for nearly eight years and believes strongly in giving back through military or civil service. She knew that learning the horse’s language would not only enhance officers communication skills but it would also help them personally through any difficult experiences or traumas. Though her dream to help Police Officers seemed achievable, Twinney quickly learned that even mounted units were on the “back burners” in police departments and there were no funds available to enhance the horsemanship skill set of the mounted officers let alone interpersonal skills for all officers. Twinney began teaching her trade to others with the thoughts of working with her colleagues at the police force still fresh on her mind. 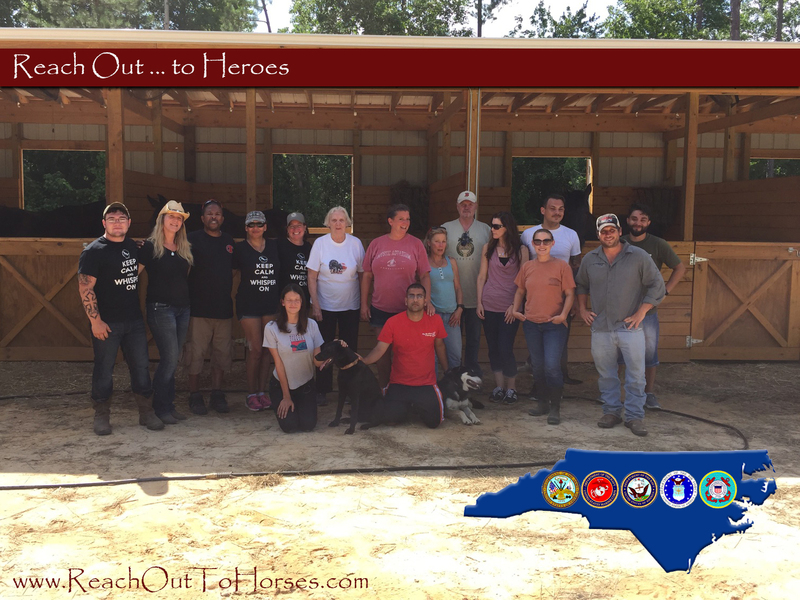 Years later, when the non-profit organization, Hearts for Heroes reached out to Anna to facilitate the equine portion of a six day event for veterans, she was thrilled to accept. “The goal was to avoid any triggers and allow the veterans to see what the horses could do. I knew it’d be helpful to let them see the difference between a partner and a tool. A partner has a heartbeat and it’s ok to make compassionate connections without attachment.,” Anna explained. Anna’s unique experiences, her knowledge of horses, her own police force training and even her own PTSI (issues) helps her to know how to keep the veterans away from the “flight or freeze” response, which is comparable in horses and humans. Participants in the event ranged from active duty military, those recently back from Iraq and Afghanistan and Vietnam veterans. 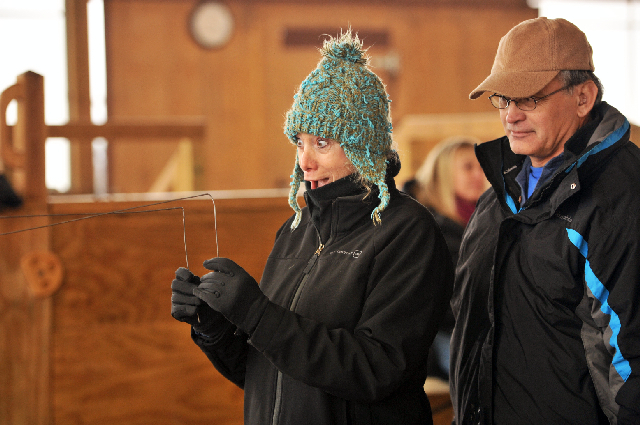 Friend and colleague Susan Solomon joined Anna to assist with the natural horsemanship clinic. Susan, a ROTH trainer, spent six years in law enforcement as a police officer and now as a licensed professional counselor, has worked with military members and their families traveling to different installations over the world for past 6 years. “Seeing the veterans interact with the horses and going from fear with stiffness in their movements to engaging with several horses relaxed with a huge smile on their face is priceless.” Susan realized that some of the veterans return with a discomfort for society and difficulty fitting in, so seeing them engage and smile not only with the horses but also the people around is a clear indication that the horses not only help the veteran become relaxed with them but that this also transfers to those people around them. Anna and Susan hope to partner again in the near future to help veterans through horsemanship. Anna Twinney partners with National veteran’s aide organization to use horsemanship to help those affected by PTSI overcome obstacles in everyday life. Hope you had a wonderful Holiday Season and you are gearing up for an exciting and prosperous new year filled with fun, friends and fulfillment. We sure are and we are, once again, starting the year right here in Colorado, home of amazing wildlife, majestic horses, beautiful vistas, and of course… US! Once again, we’ve got lots in store here in Colorado for 2014. Including our new Dowsing Class and Reiki class taking place in our new home in Elizabeth, CO. So no matter if it’s horsemanship, animal communication or healing, we’ve got you covered. But remember, these clinics, workshops and clinics fill up fast! So don’t delay. For many, communication between horse and human is simple physical cues, or worse, just direction through line and spur. But true communication is so much more! 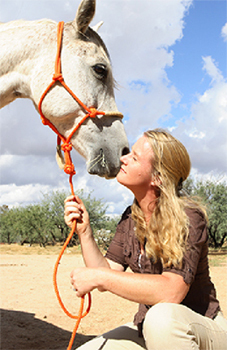 Join Anna on February 3rd at the Jefferson County Fairgrounds and find out just how vast and comprehensive the language of the horse is and the role inter-species communication plays in horse to horse, and horse to human communication. You will also discover how to use this animal communication to create true partnership and clear communication on the ground and in the saddle. For more information visit jeffcohorse.com. For more information contact ROTH at info@reachouttohorses.com. Return for our 4th year in a row to the Rocky Mountain Horse Expo! Anna is excited to be a featured presenter at this years Rocky Mountain Horse Expo. Join us as Anna shares some amazing insights for the forth year in a row. During her live demonstrations and lectures she will cover everything we teach here are Reach Out to Horses and the how’s and the why’s it applies to your horse! 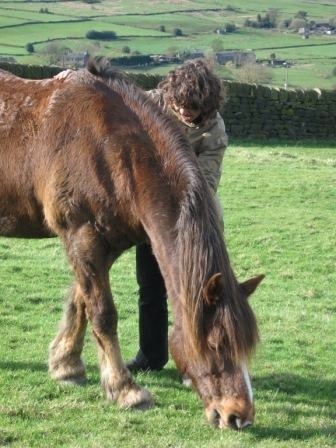 From Energy Work, to Animal Communication, to Anna’s Exclusive Gentle, Trust-Based Reach Out to Horses’ Methodologies, Reiki for Horses and more! You will get a taste of it all. And then, after you’ve been thoroughly amazed and inspired, join us at the Reach Out to Horses’ Booth where we’ll have all our courses and merchandise for you to peruse, ask Anna all your burning questions, and discover why ROTH is the most unique and comprehensive horsemanship program in world. 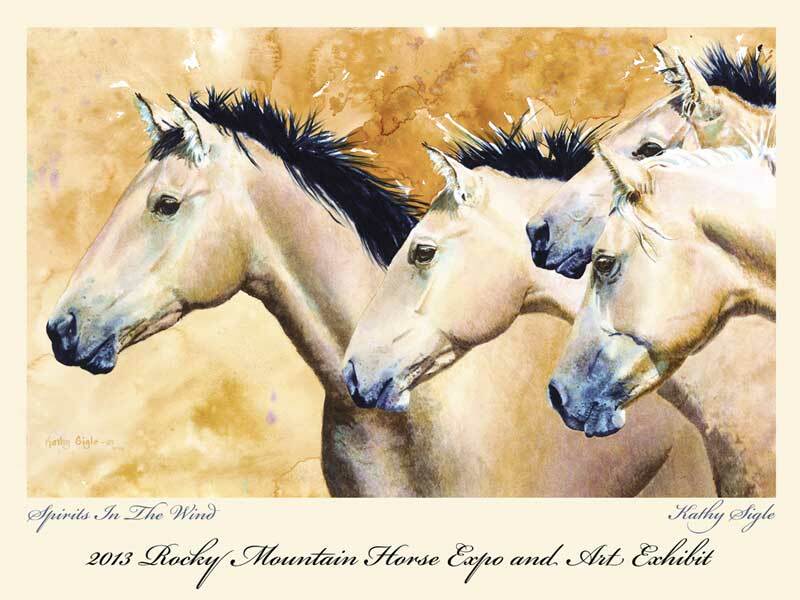 For more information visit www.rockymountainhorseexpo.com. unique and effective program in the world! Reach Out to Horses® Program! Witness the effectiveness of the Round Pen. Experience a language that goes beyond body gestures, and create a lexicon that can be used in and out of the Round Pen. Identify what your horse needs to be happy, healthy & whole. •Get direct feedback from your body – the body does not lie! Part III – Animal Communication Discover the world of Inter-species Communication & explore a whole new relationship with your horse. Find Out How to Reserve Your Spot Now! Anna uses this effective but oft misunderstood tool for a myriad of tasks in her work as an animal communicator and natural horsewoman. It is indispensable to her work which is why she teaches it in both her animal communication and horsemanship courses. Now you can discover just how powerful it can be in your life. For more information or to register contact ROTH at info@reachouttohorses.com. 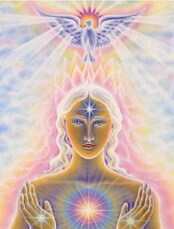 Learn the Most Popular Healing Art in the World! •Work on anything from your pets, house plants and even your computer! Cost: 2012 Prices Still in Effect for Colorado! 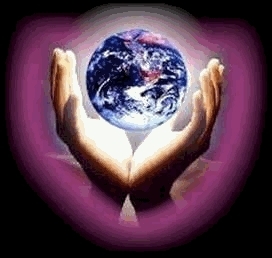 But it’s going up soon so if you’ve wanted to delve into the powerful world of Reiki, now would be the time to do it! To reserve your spot go to www.ReachOuttoHorses.com or for further information contact Vin at info@reachouttohorses.com. One of Energy healing’s most effective uses is in the healing of horses. Horses, and animals in general, are great clients for energy work because they don’t have any preconceived notions or skepticism that often get in the way of human receptivity. An animal is simply present to the experience. If it likes it, it likes it and if it doesn’t it leaves: Simple as that. 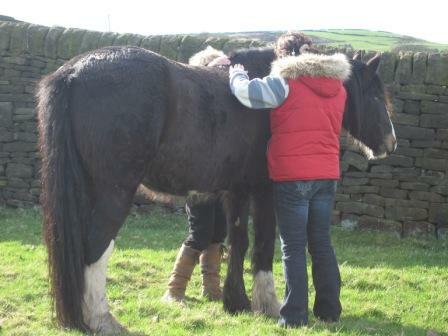 We have found that most horses love Reiki and other forms of energy work. They will quite often relax into the healing session, lower their heads, keeping a leg cocked in a relaxed position and even close their eyes as they enjoy the sensation. Many times you can even hear their stomachs gurgle as the healing energy flows through them, clearing energy blocks as it goes. And when they have had enough, they will often let you know by “waking up” and sometimes even walking away. For further information and contact Vin at info@reachouttohorses.com.